Neil fell in love with air planes at a very young age. On his 16th birthday he received his student flight certificate. Neil was active in the Boy Scouts of America and earned the rank of Eagle Scout. Later on in life he would be awarded the Silver Buffalo Award. In 1947, at age 17, Armstrong began studying aeronautical engineering at Purdue University. On July 18, 1969, while flying toward the Moon inside the Columbia, Armstrong greeted the Scouts: "I'd like to say hello to all my fellow Scouts and Scouters at Farragut State Park in Idaho having a National Jamboree there this week. One item that Neil carried with him on his trip to the moon and back was a World Scout Badge. 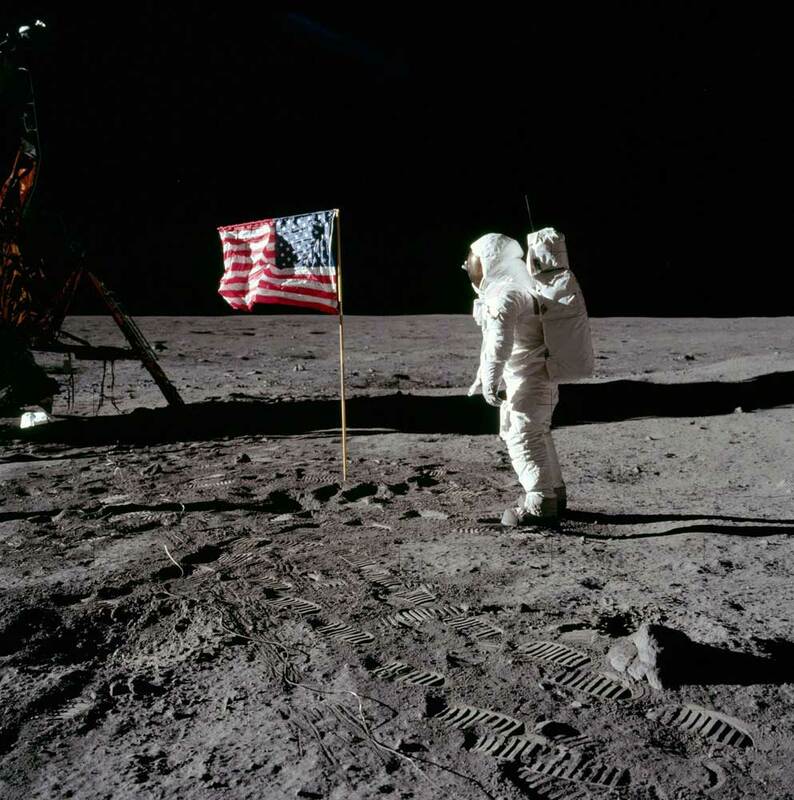 On July 20, 1969, he became the first man to step on the moon. Fun fact, his first name is actually Edwin Eugene Aldrin Jr. His younger sister mispronounced brother as "buzzer" and the nickname stuck. In 1988 he changed his legal name to Buzz. Growing up, Buzz was active in the Boy Scouts of America and received the rank of Tenderfoot. Buzz graduated from Montclair High School in Montclair, New Jersey, and headed to the U.S. Military Academy at West Point. He was the second man on the moon right behind Neil Armstrong. 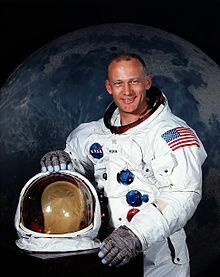 Click here to see many more astronauts that have a connection to the Boy Scouts of America.